Cricket is a long game with various requirements: explosive power, speed, agility, strength and recovery speed. All of these factors are heavily influenced by what you eat. Food is fuel and if you fuel your body right it will keep you at the optimum level for playing cricket. While you don’t need special supplements or diets to maintain good cricket nutrition, you do need to know what works best. Here I have collected together all my tips on what to eat to make you a better player. Eat complete lean protein with each meal. Ensure that your carbohydrate intake comes from fruits and vegetables (Exception: workout and post-workout drinks and meals). Ensure that 25-35% of your energy intake comes from fat, with your fat intake split equally between saturates(8%) (e.g. animal fat), monounsaturates(10%) (e.g., olive oil), and polyunsaturates(12%) (e.g. flax oil, salmon oil). If you aren’t already practising the above-mentioned habits, and by practising them I mean putting them to use over 90% of the time (i.e., no more than 4 meals out of an average 42 meals per week violate any of those rules), everything else is pretty pointless. Cricket is a sport based on power through hitting, sprinting or throwing/bowling. That means you can’t waste time building up your endurance through fitness training. However, you do need endurance and fast recovery (especially if you are playing more than once a week) to perform at your best to the last ball. You can get this through what you drink before, during and after the game. Avoiding drinking or sticking to the supplied orange flavoured water just doesn’t cut it if you are serious about improving your game. What is in the ideal cricket performance drink? Be able to sit in the sunshine and not go off. Contain fast acting carbohydrates(7%-8%) for recovery and endurance. Taste good or you won’t drink it. Take 2-glass(1-glass is 250 ml) of water for each pound bodyweight lost after match. There are plenty of ways to get this balance. You could make it yourself or even compromise a little with chocolate milk. Most notably, get your carbohydrates from fruit and vegetables, fat from fish, eggs, nuts and olive oil and lean protein from meat, dairy, protein shakes or fish. About 2 hours before the match have a meal as above but add in some processed carbohydrates like cereal, bread or pasta to top up your glycogen stores. Avoid ‘bad’ fats from processed meat and fried food. During warm up, while you are waiting to bat and when you are in the field drink half a litre per hour of ‘workout drink’ as outlined here. At the interval have a meal based a small amount carbohydrates through bread or pasta. Alternatively, have another workout drink (but not both). The exception is when you have not done anything in the first session (your team has batted and you did not get in). If that’s the case, at tea have a smaller meal similar to the first tip. After the game, cool down and refuel with a whole food meal within 2 hours of the close of play. Bear in mind all these tips are for optimum nutrition to give you more energy during play rather than minimal requirements to avoid starvation. You can ignore them and still eat they way you want, just be prepared to perform less well towards the end of an innings. Good nutrition is that important to your game. Cottage Cheese. A great source of protein. It can be used in a variety of ways. I like to eat it before bed because it contains a type of protein called casein that is released more slowly through the night. Mixed Nuts. Nuts taste dead good and are a source of healthy fat. I like them because you can snack on them easily, but there are plenty of ways to cook them up as part of a proper meal too. Spinach. Strengthens your immune system. I have it in omelettes to get a good balance of veggies and complete protein in one meal. Tuna. Fresh tuna is rich in protein and good omega-3 fats. Tinned tuna is a tasty convenient protein source. Cricketers need a bit more protein than the average person and tuna is an excellent way to get it. Broccoli. Rich in antioxidants, if you want to feel good broccoli is high in the list of foods to eat. Fresh is best but frozen isn’t that far behind, just make sure you steam it so as not to lose too many micronutients in the cooking. Bananas. Energy and potassium in one easy to munch yellow snack. If I get hungry on the day of a match and I’m in a pinch I’ll grab a banana rather than a cake, sandwich or mars bar. Green Tea. It’s not a food I know, but it’s a wonder drink. It has been claimed to boost metabolism in those wanting to lose weight, have positive effects on prevention and treatment of cancer and lower cholesterol. Although that has not been proven beyond doubt, what is certain is its benefit when replacing coffee, and soft drinks. It’s got no calories and less caffeine. This breakdown will give us sufficient fuel to perform without putting on performance reducing fat. Also, we should be aiming for around 10-15% Body Fat (25% for women), about 2500-3500 calories per day and enough vitamins and minerals to stay healthy. Reaching these aims may seem impossible without complicated labs and expensive equipment. And it is true to measure with 100% accuracy you would need to break into a nutrition lab! However, it is straightforward to eat right and the percentages will follow. Here is how. Get most of your protein from high quality lean meats like chicken and fish. Make sure you eat 5-10 portions of veg a day (plus some fruit) to get your vitamins and minerals. Cut back on processed and high sugar foods. Dont cut any food out of your diet, especially if you like it. Just make it a treat or a reward. Don’t go on a diet, as fad diets by their nature end. Aim to change your whole outlook to one where you are considering healthy eating at every meal. Think about setting up a free account at Fit day. It tracks your food intake and breaks it down into percentages. Don’t cut any food out of your diet, especially if you like it. Just make it a treat or a reward. Read my guide to match day nutrition. The secret, then, to building a diet you can be proud of is simple: be aware of what you are eating. So what should we be eating during the tea break? First of all you will need to rest for a few minutes, allowing your digestive track to prepare itself for the receiving of nutrients. During a tea break it is most beneficial to eat foods that are high in nutrients, low in artificial ingredients and, most importantly, give you a release of energy you can use. Chilled melon (high water content and full of natural fruit sugars with release energy ergonomically). After the match is a good time to get whole starchy carbohydrates to assist your recovery time. Potatoes, quinoa or rice combined with a protein source from lean meat works perfectly. Its fine to consume some fatty foods provided the fats are not trans-fats. These foods will help you to stay warmer in cold weather, whilst avoiding discomfort during play. Again, look for whole foods that combine ‘healthy’ fats with other nutrients. Nuts, avocado, olives, hummus and fresh fish are solid options. If you are prepared to change what you eat during the tea break then you can expect to experience an improved aerobic system for the remainder of the game, as the energy release will be more gradual. This will help you to stay focused and maintain concentration throughout the game. Cucumber sandwiches are most often served for a light snack or at afternoon tea, a formal light meal served at four in the afternoon or early evening before the main supper. In addition, cucumber sandwiches are supposed to be served in the tea break. Cucumber sandwiches are popular during cricket matches and weekend picnics. The Indian variant is flavoured with green chutney, and sometimes contains slices of boiled potatoes. Eating these foods(Sausage rolls, pies, scones, biscuits, chips, crisps, cakes, chocolate) in the middle of a game will adversely affect your performance. This is because such foods release energy too quickly, converting to fat and causing your blood sugar to crash. Almond or Turmeric or Powdered Pumpkin Seeds and Watermelon seeds after 30-minsof Dinner and then sleep after 30 Mins. Caution: Supplements are only used to supplement whole food. If one is not taking proper whole food then supplements will not help them or may be dangerous. So consult proper Sports nutritionist or coach before indulging in Sports Supplemnts. Zinc Related foods– Leafy vegetables, Yoghurt, almonds, pumpkin seeds, nuts, Sunflower seeds etc. Chromium supplements or foods like Broccoli, Cauliflower etc. Selenium supplements or foods like mushrooms etc. The above diet schedule is a Generalized one. Consult your nutritionist or coach and modify according to your body’s requirement. You begin your journey from the pavilion to the middle. 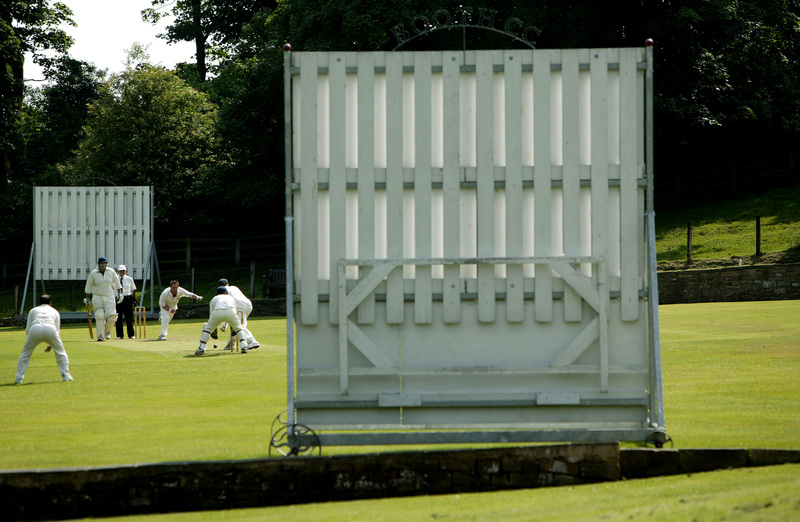 Maybe you’re a club cricketer, you’ve been waiting all week to play your favourite sport, been standing in the field all afternoon watching the bowlers do their thing, waiting for the opportunity to do yours. Maybe you’re an international cricketer, you’re playing in a test match, and you’ve been standing in the field for two days, watching your opposition counterparts flourishing in good batting conditions. What are you thinking? Are you excited? Ready to seize your opportunity to do what you do best? To do what you enjoy? Or maybe you don’t enjoy it? You’re nervous? Worried that you’ll be back in the pavilion just as soon as you’d left it? You reach your crease. Take your guard. Go through your final habits, maybe adjusting pads, gloves, helmet or even the sleeves of your shirt. The bowler’s at the end of their mark, ready to go as soon as you get into position, signalling to them that you’re ready too. What are you thinking? This is it? This is your moment? Ready for whatever the bowler serves up? Able to clear your head as you tap your bat behind your foot? Able to trust your ability, trust your instincts? Or maybe you can’t? Maybe you’re worried about getting out first ball? So worried that it’s all you can think about? Because if you get out first ball, what does that mean? Game over? So worried that as the bowler begins to run in you’re head’s still full of thoughts, images, scenarios? The first ball is a good line. A good length too. Right in the block hole. You defend it comfortably with a large confident stride towards the ball and form a stone wall with your bat and pad. The ball had to be played on merit, but you never felt threatened by it, was never going to get out to it. Or do you see it that way? Maybe you just about survived the first ball. Phew. A sense of relief that the golden duck is now out of the equation. Maybe you’re even beginning to think too far ahead. That was a good ball. This is a good bowler. You got away with that one, would be lucky to defend that successfully again. Even if you do stick around, where are you going to score runs here? It’s 5 or 6 overs later. You’ve faced your fair share of dot balls. But that’s fine. It’s early in the innings and there’s plenty of time. You’ve picked up the singles where you can. Rotated the strike. Not let the bowlers pin you down. You’re in control. You’ve got your eye in now. A stable base to build on. The runs will start to pick up now. Is that how you’re thinking? Maybe not. Maybe there’s another sense of relief. At least you haven’t got a duck today. That’s one positive. But you’ve faced far too many dot balls. Hogged the strike. You’re not scoring quickly enough. It’s about time you stepped it up and stopped wasting valuable opportunity. Worried you’re letting your teammates down. If one of them had faced that ball they’d have hit it for four. You might as well start trying to hit now, if you get out it will be better for the team anyway. At least you won’t be wasting more time. You attempt to work a straight ball into that gap on the leg side. You miss it. It hits you on the pad. You’re out. LBW. The return journey to the pavilion commences. You process what just happened. It was a valid run scoring option. You had already successfully executed the same shot several times today. It’s ok. You’ve played your role. It was the right time to start looking for more runs. It wasn’t a reckless swing. These things happen. There’s always next week. Or, on the flip side, you’re beating yourself up. What did you do that for? Playing across the line? That’s something you can’t forgive yourself for doing. Took the risk one too many times, you deserved to get punished for it. At least you’re not out there hogging the strike any more. Using up deliveries. Now you get to sit and watch everyone else doing what you wish you had been able to do. Just like last week, and probably the week before that too. At this moment you feel like that’s always the case. When is your time ever going to come? When will you finally get it right? Every week it’s another stupid mistake. It’s later that evening. Your team won. You’re happy. Thoughts of your dismissal are long gone. You’ve acknowledged what you may have done wrong in that particular shot. Maybe you just played through it a bit too early. 9 times out of 10 you’d have nailed it. You’ve moved on, next week is a new week, a new innings, and a new situation. Or are those thoughts long gone? Maybe they’re lingering? Maybe that shot is replaying in your head over and over again? If only you’d done this, or done that. You know you should be happy. It’s a team game. You won. But you don’t feel that you deserve to share that glory. What did you contribute to the team? You stood in the field, went out and wasted run scoring opportunities and then got out. It’s been another week wasted, and now there’s a whole week to wait before you can try again. Part of you wants that opportunity to come around quickly, to at least give you a chance of putting something right. The other part of you thinks what’s the point? You’ll only mess up in some other way next week. Maybe it’s about time you gave up. All those weeks, months, years spent waiting for progress to show, but it’s not happening, because you’re still messing up in the same ways you always have. How can you even call yourself a batsman? Batsman score runs. That’s their job. You haven’t scored many. Maybe you should just quit. There’s no doubt that being a batsman has plenty of psychological challenges. This only covers a small number of them. Obviously other aspects of cricket, such as bowling, and other sports, all have their own sets of psychological challenges, but I think the one thing about batting that seems particularly hard is that you only get one chance in a game. If you’re out, you’re out. One mistimed shot, one mistake and it is game over. If a bowler bowls a bad ball, or a bad over, there will be more opportunities to get it right. A batsman can’t ask to come back in and try again. Cricket is also a game that lends itself very well to periods of introspection, particularly if the batsman gets out early on in the innings and has to sit and watch for a considerable amount of time. This is also particularly true for international cricketers, who spend the majority of the year away on tour, and therefore have plenty of time and opportunity to ruminate as they sit in their hotels waiting for the next game to start. Looking at the two very different mindsets above, it is clear that one will be much more conducive to optimal performance than the other, and just as importantly, will be much more conducive to good mental health than the other. This is why sport psychology is important. The same situation can be perceived by the mind of the athlete in many different ways. Our job is to give them the tools to train their mind to perceive it in the best way possible, both in terms of performance and psychological wellbeing. As we saw in the section on the Brain, the function of the brain is the mind. We have one mind, but there are two parts to it, the conscious and the subconscious mind. A common metaphor for making sense of the mind is that the conscious and subconscious parts of the mind are compared to an iceberg. The conscious mind is the portion of the iceberg above the water. The subconscious part of the mind is the iceberg below the water level, where your thoughts, emotions and beliefs are stored. The conscious portion consists of about 10% of our thinking ability and the subconscious consists of about 90%. The subconscious mind is the foundation of your life, it is the home of every memory of every experience, real or imagined, that you have ever had. Amazingly, from pre-birth to today, as you read this. Hypnotherapists have helped clients retrieve memories from pre-natal experiences, from experiences under anaesthesia during surgery, nothing is lost, only filed away. Open to retrieval when the subconscious is communicated with gently and wisely. So what bearing does this have on your cricket, you may ask ? All the ideas you have about yourself are stored in your subconscious mind. We each have three key beliefs, and these shape our lives from day to day. The first and most important belief we have is about ourselves, what we believe to be true about ourselves and what we believe we can achieve and do.This is shaped by our sense of Self Esteem. The Second Belief is about what we believe to be true about other people. What we think and feel about them. The Third Belief is about our world, is it a place of opportunity and abundance. Or is it a place of fear, survival, lack and limit. Each of these two is shaped by your first belief, about yourself. Your self image and self esteem set the parameters for what you ‘believe’ is possible in your cricket. They set the scope of the goals that you can achieve. If you don’t believe you amount to much and that you don’t have any personal power, your ability to make choices, then the scope of your goals is going to be limited and small. If you lack confidence, focus, self esteem, calmness, the ability to manage your pre-match anxiety, you will underperform. You will be less than you can be, far less, and you will be like this regularly. There will be a constant sense of distrust in yourself and your abilities. Does it sound familiar? This isn’t something that can be changed through ‘trying’ harder, this only makes your performance worse, it brings up the conscious mind and makes it more active, as it becomes more active it makes it more difficult to communicate with the subconscious. The default settings of ‘trying harder’ and ‘analysis’ of the conscious mind paralyzes the gift of the subconscious mind, which is creative and automatic. Your best cricket runs on automatic, when your hours of practicing can be expressed in your game without interference from the conscious mind. You have had these days, when your performance just flowed, when you are in the ‘Zone’. ‘Trying’ gets in the way of the automatic performance program that is stored in your brain. Anxiety, nerves and stress are all manifestations of the same thing, they come from the same root … fear … fear of getting out, fear of bowling badly, fear of dropping a catch, fear of facing the same bowler who got you out last time. Always lurking in the background, the FEAR of getting it wrong or getting hurt. The conscious mind operates on analytical, rational, logical thinking, two plus two is four. Our working memory and will power resides in the conscious mind. Will power becomes ineffectual when faced with the power of the imagination … and fear gets magnified by the imagination. Think of someone with a phobia, however hard they try they cannot ‘will’ their fear of heights, cats, dogs, spiders away. It isn’t rational, or logical, but neither is the subconscious. ‘Should’ doesn’t mean that they can ! Our subconscious mind wants to help us achieve our deepest desires, goals and expectations, even if they are contrary to logic and our own well being. Once the subconscious mind accepts an idea, it goes to work on making it come true. Your subconscious mind is like fertile soil which accepts any kind of seeds – good or bad. It doesn’t know the difference between a good goal or a bad goal, wherever you put your attention for any length of time it will go to work on making that a reality for you. The more vividly you imagine it, the more powerful it is. So, choose your goals and desires carefully. The subconscious cannot tell the difference between a desire and a fear. If a fear comes to dominate your thinking, the subconscious will interpret that fear as a desire (goal) and work to make it your reality. As soon as I do that you can’t help but think of the ‘purple cow’. When you learn to communicate directly with the subconscious mind you can begin to control your mind, this leads to you choosing what you want to focus on and what you want to feed into your subconscious. You begin to discover your personal power, the ability to choose your goals and to create your reality for the better. The key language of the subconscious mind arever pictures and feelings. When we learn to choose verbal language that creates pictures and feelings of our positive goals our performance begins to move in the positive goal direction that we choose. We use Goal Setting to choose our focus areas, and then we wire this into our brain through practice, lots of repetition, to move it from our working memory to our subconscious memory. We supplement this with Visualization and Imagery, which we control, this allows us to reflect, edit and improve our performance. It continues the wiring process and strengthens the wiring. Work with this, week by week you will begin to create the positive results that you desire in your game. With an empty Coke can, a plastic bottle, or even just a stone, we used to play football. Drop down a pair of jumpers for goalposts and you have an instant pitch in classrooms, corridors, and even the little patio at my grandma’s house, where I played epic matches against my sister. To form a basic game of football cost absolutely nothing. 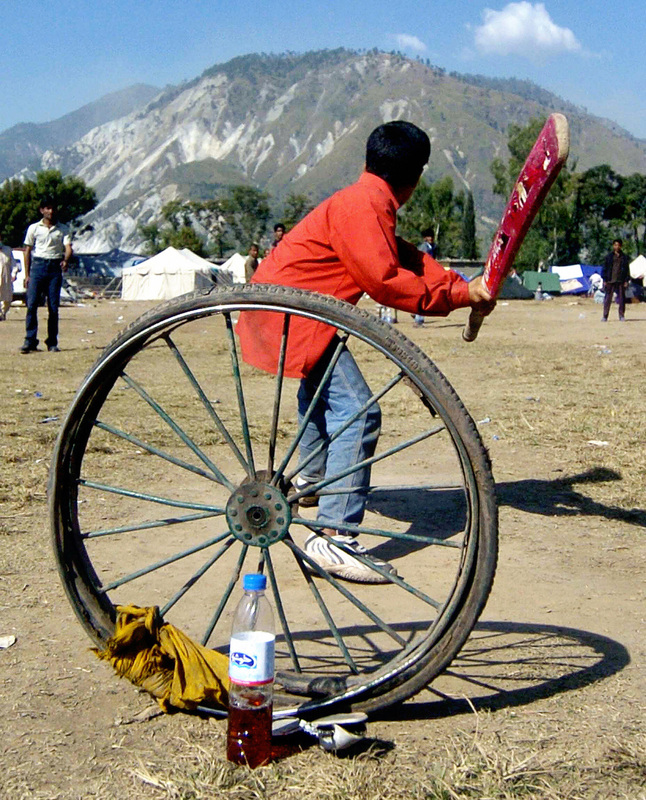 And yes, cricket too: with improvised bats from bits of wood and balls shaped from scrunched-up paper. You can pretend to be a national legend when stroking a sphere of rubbish along the floor with a rolled-up umbrella. However, if you actually take the field and formally upgrade, the financial costs of playing football and cricket rapidly diverge. Ask Durham, relegated from top-flight cricket because they couldn’t balance their books. Ask mum and dad when their son or daughter picks up a bat. Ask the club cricketer walking to the crease on a Saturday afternoon, where the rising price of playing is at its most extortionate. Before even being picked for his team, the treasurer will have asked for his annual subs, and while not as wallet-emptying as joining a golf club, these could be anything from £100 upwards, along with a weekly match fee – the last time I played league cricket, this was £15 a game. Still, our amateur is eager, and he has paid his bills and is striding to the middle. Depending on whether he wants his boots to fall apart before he scores that century, or he rightly understands that his feet are precious – my dad once broke his ankle darting for a quick single when one set of spikes stuck and the others slipped – and need support, he could have forked out anything from £20 for a pair of clodhoppers to £125 for a pair of cutting- edge Asics that promise to help him “run quicker between the wickets”. Inside this boot is a sock – white, because no one rates a player wearing any other colour. And for a day standing in the field this sock might include “ventilation channels” and be constructed from choice Merino wool and “polypropylene to wick away moisture” and set you back £10-£15 a pair. And unless you’re a cricket brute who thinks it’s okay to take guard in a pair of chinos, you’ll be wearing whites: a shirt and pair of trousers that may or may not be included in your team subs. You’re dressed for the sport and you’ve paid to be on the pitch. Now you need protection. Before pads, the Gentlemen and Players of yesteryear would suffer gangrene from cricket-ball welts. So you don modern leg guards that make you look like a stormtrooper, especially in addition to that brand new helmet, the second one you have bought in two seasons as your old lid didn’t conform to the latest ECB British standard regulations banning movable grilles. Still, safety is paramount, and if your teeth get knocked out, your dentist becomes part of the cricket-cost equation, rather than the landlord after you buy that round in the pub after the game. Besides, at your level, batting on the occasional minefield wicket, you need all the defence you can get against a ball weighing 5¾ ounces, travelling up to 90mph – not to mention costing anything from £5 (if you want to bowl with something shaped liked a potato after ten overs) to £90. You also need hand-stitched gloves (even cheap gloves are handmade, due to their design complexity) to defend your digits, and a priceless box. Finally, and most importantly – and most expensive – your bat. Your beloved blade, an extension of your body. The bat you choose represents something of your character, and perhaps your financial situation. Some men buy flashy cars in a mid-life crisis, others buy bats. Interviewed onTest Match Special this season, fellow writer Jon Hotten wondered if the pricey clefts of his team-mates would ever make more runs than they had cost in pounds. The problem is that bat quality does tend to equal bat price. You can get lucky with a bargain plank, and find the middle pings even when the grain wavers and the knots spoil the finish, but the best willow will cost. So there our club player stands, kitted out and settled up with the treasurer, ready to face his first ball of the season, a delivery that will pitch on a wicket tended and maintained by professional ground staff. Even the mangiest of park tracks will, despite appearances, have been mowed, weeded, scarified and rolled. A strip will have been painted on, sightscreens erected, and quite possibly an umpire who is not one of your mates will be adjudicating, and expecting a few quid in exchange for listening to bowlers swear at him all afternoon. Cricket costs. It drains pockets of the impoverished keen. It’s simply not a cheap sport when played properly, and I do wonder how many kids from less privileged backgrounds don’t get into the game because they, or their parents, can’t afford it. Good schools, usually private, provide proper facilities. Bad comprehensives can’t afford a manicured square and paid coaches. Vandals set fire to my own school’s artificial strip a week after it was laid. Thankfully, beyond the governing bodies who ultimately dole out cash coming in from the clubs, amateur players and spectators, there are benefactors: sponsors, broadcasters, great charities, like Chance to Shine, dedicated mums and dads who dig deep so their children can take the pitch in proper whites and proper kit, and the generous clubs who subsidise the less well-heeled player. Cricket costs, but it’s also a sport people obsess about. A sport we love. And when we’re in love, we find a way.